Transit-oriented development (TOD) faces two major challenges in Brazil: finance and governance. Photo by City Clock Magazine/Flickr. Transit-oriented development (TOD) is all about creating cities and neighborhoods that are compact and connected. Previously, we talked about the seven principles of TOD, its economic benefits, and the potential of the Minha Casa Minha Vida (MCMV – “My House My Life” in English) project that works to bring TOD to cities across Brazil. To wrap up our discussion on Nossa Cidade of TOD, it’s important that we recognize and discuss the challenges of making TOD a consistent practice across the country. 170 million Brazilians currently live in urban areas, which is about 83 percent of the national population. When not planned appropriately, development can leave communities isolated and disconnected from city centers, leading to social inequality and exclusion. This pattern of growth restricts residents’ access to the opportunities and services available in central areas. Disconnected and dispersed cities harm the economy and reduce residents’ quality of life. On the other hand, TOD focuses on connecting people with the city with a sustainable transport network. However, there are often barriers that need to be overcome in order for TOD principles to be successfully incorporated into planning processes. Throughout recent Brazilian history, cities have often expanded at a greater pace than investments in infrastructure, benefiting central districts but leaving peripheral districts lacking urban services. The result is that low-income populations move outward, where land is cheaper, but where basic needs cannot be met. Reversing this trend requires financial and governance mechanisms that can attract investors, engage local communities, and ensure more compact, connected, and coordinated growth. Urban mobility programs promoted by the federal government through “PAC da Mobilidade” have facilitated the construction dedicated bus lanes and bus rapid transit (BRT) systems in several Brazilian cities. These programs have created large transport hubs around bus terminals and multi-modal stations, increasing the value of surrounding real estate and creating an opportunity for genuine TOD. In Brazil, CEPACs (Certificates of Constructions Additional Potential) and the “Concerted Urban Operations” are good examples of financial mechanisms that can help support TOD projects. However, these mechanisms are rarely utilized and often fail to expand access to sustainable public transportation systems. Minha Casa, Minha Vida, as we previously discussed, can produce positive results by building housing estates in central regions or in areas well serviced with public transport. 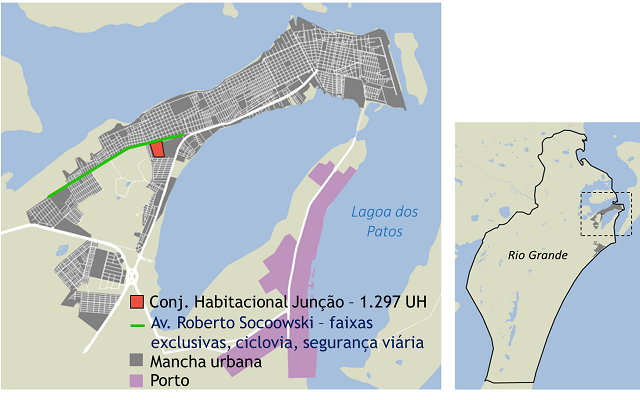 One example of this is the Junção project in the city of Rio Grande. Land for the MCMV project (marked in red) in the Junction neighborhood of Rio Grande has access to transport (corridor marked in green), public services, and infrastructure. The project is currently in development. Map by WRI Brazil | EMBARQ Brazil. In addition to funding issues, one of the challenges of implementing TOD comes from the governance side. Public policy often intends to develop affordable housing projects on unused land that have secure access to urban services. However, because management changes, it can be difficult to guarantee that projects will continue. Similarly, legal mechanisms are needed to ensure that TOD is kept a priority throughout urban planning processes. 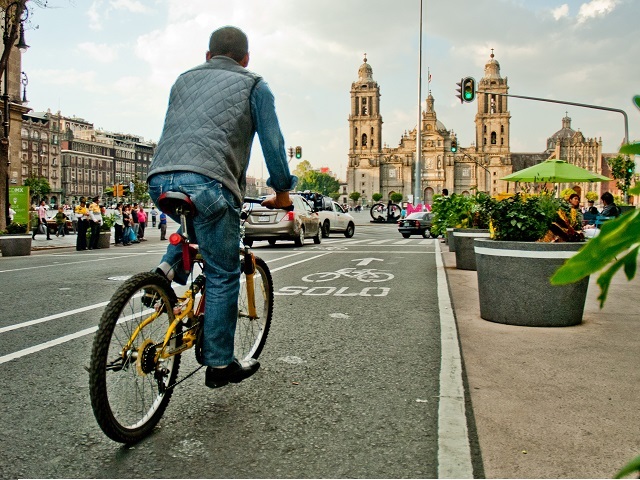 In order to remedy this, decision makers and planners need to follow TOD guidelines to improve mobility and urban development at the individual street and neighborhood levels, as well as at the level of the city as a whole. To learn more about the challenges to TOD that Brazil faces and the tools that can be used to overcome them, click here (in Portuguese).